Dr. Eric Tarr, associate professor of audio engineering technology, recently gave two invited presentations in London, England. 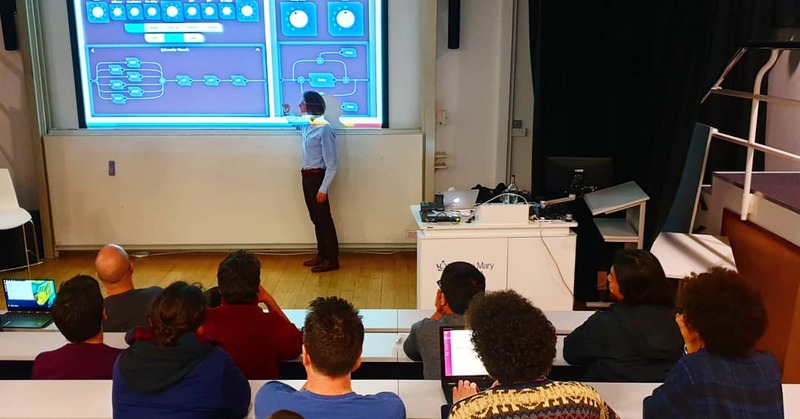 First, he presented a two-day workshop on audio software development at the University of West London for their Audio Programmers Society on March 16-17. Second, he gave a presentation on acoustics and digital signal processing at Queen Mary University of London for the UK Audio Engineering Society on March 18t.